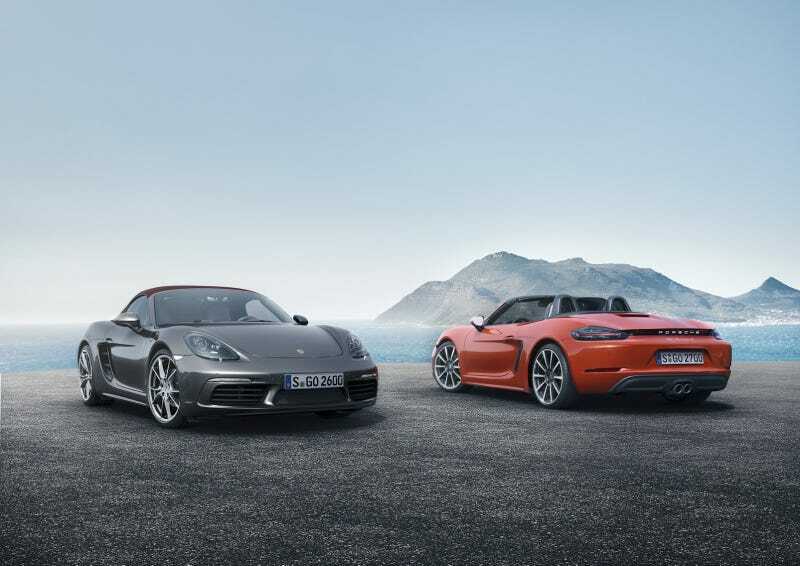 The 718 will have the convertible only Boxster-Line and the coupe only Cayman-Line. The 718 Collection will also include two branches, the manual only GT-Series (GT, GTS, GT-RS) and the PDK only Pro-Series (Pro, S, RS). The separation of manual and PDK give owners a badge that let’s everyone know which transmission they chose. The GT-Series will have a more aggressive tuning while the Pro-Series will be slightly faster with a more comfort focused setup. Only 2-seaters and Turbo 4-cylinders only. No AWD or Hybrid options available. The next 911 will be slightly longer in order to increase usability of rear seats, just a few inches but still a longer vehicle to further separate it from the 718 Collection in terms of usability. The 911 will have two branches, the Carrera-Series and the GT-Series. The Carrera-Series will go standard AWD and PDK while the GT-Series will be RWD only and manual only up until the GT3. The GT-Series will have the more aggressive suspension setup while the Carrera-Series will be quicker but with a more comfort focused setup. The Turbo models will receive hybrid motors and be called the Turbo-H. This way the Turbo name continues on, but since all 911s are turbos now, it makes sense that the batteries are the new bump up in performance. Turbo 6-cylinders only. Base prices are actually slightly cheaper than current models in order to leave even more room for customization. The 911 Turbo-H RS will pretty much be a discount version of the 918 Spyder. This allows the next Porsche halo car to be more of a successor to the Carrera GT rather than the 918 Spyder. Standard AWD and Auto only.